Chronic medical conditions, including cystic fibrosis, HIV and diabetes, weaken the immune system, causing swelling of the airways. As a result, thick mucus may develop that in turn leads to infection-sinus. Anatomical abnormalities, structural defects, such as cleaved palate, tumor, deviated septum and thin drainage channels, interfere with mucus drainage. Disease-spreading bacteria and viruses can easily grow in the mucus build up, setting the stage for infection. 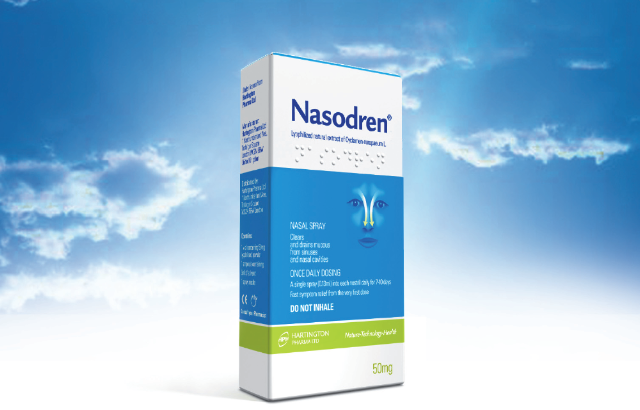 Polyps, benign growths in the sinuses and the nose, may block the sinus spaces and thereby hinder mucus drainage. The mucus build up will lead to infection. If these growths obstruct the airway channels, headaches may develop. Smoking is an irritant that may cause inflammation in the nose and make you more prone to infection-sinus. Indeed, smoking interrupts and disrupts natural cleaning process of the sinuses. More gunge, thus, gathers into the sinuses, blocking the nasal passages. Fungi may even infect the sinuses of a healthy person. However, mostly people with a weak immune system get fungal sinusitis. Fungi grow easily in dark and damp environs, which are found in the sinuses. So weak immune system and right environment encourage growth of disease-causing fungi. Frequent air travel may worsen the infection-sinus. Reduced air pressure in an airplane may build up pressure in the head. The pressure, especially during landing and takeoff, may clog the air passages and the sinuses, aggravating signs of cold and sinusitis. Adventure activities like diving and swimming worsen symptoms of sinusitis in the people already suffering from the disease. Do not spend too much time in the swimming pools, because chlorine irritates the sinuses and the nasal lining. Water may enter into the sinuses due to pressure change while diving and inflammation of sinus tissues may occur. Air-borne pollutants, including dust, perfume, and other strong odors, cause irritation in the nose and inflammation, making you more susceptible to sinusitis. Try to avoid these pollutants and reduce the risk of developing sinus infection. A viral infection in the upper respiratory system may lead to sinus infection. The viral infection damages the sinus membrane cells, causing inflammation and thickening of the membrane. The thick membrane clogs the nasal passages connecting to the sinuses. In the absence of proper removal of bacteria, infection develops.